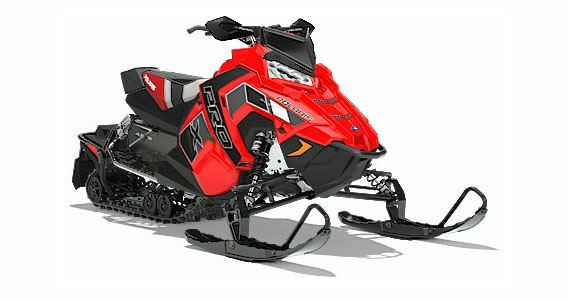 The 800 RUSH® PRO-X is a SnowCheck Exclusive model for riders who want ultimate big bump control. 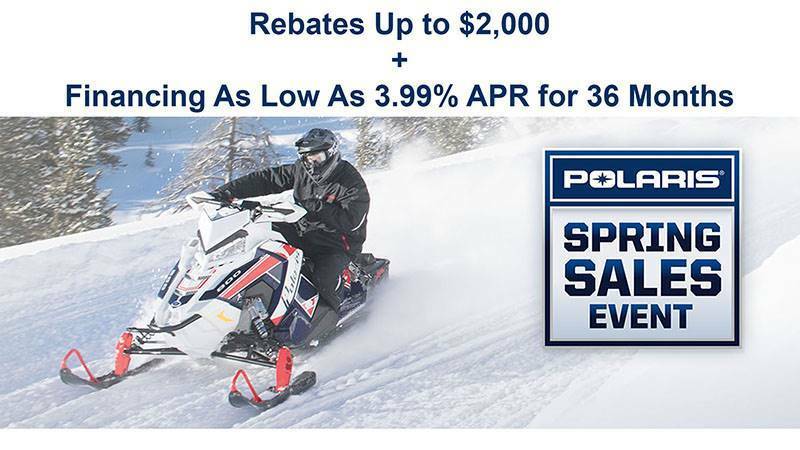 It is the perfect snowmobile for riders that need to dominate ditches and moguls, and those who ride primarily standing up. Its powerful, proven 800 H.O. Cleanfire® engine, AXYS® Chassis, and Walker Evans® Needle Shocks deliver Rider-Balanced™ Control, Unrivaled Acceleration, and Rider Centric Comfort. 800 CLEANFIRE® ENGINE: Developed in conjunction with the AXYS platform, the proven 800 Cleanfire® H.O. Engine delivers class-leading acceleration. The integrated mounting position optimizes the balance of the chassis. Featuring: 3-stage electronically-controlled exhaust valves, Electronic oil pump, Thermostat with bypass warms up to operating temperature 40% faster and improves durability, High-efficiency intake and exhaust, VForce Reeds, Lightweight crankshaft, Throttle body is lighter weight and reduces throttle effort, Grooved Piston.